On December 11, 2017 we got word that our grant proposal for CoServ Charitable Foundation was approved! This is our first big grant, and we are pleased to share about CoServ, and what this grant will include. CoServ CoServ is an electric and gas distribution company serving North Texas. The CoServ Charitable Foundation goals are to Support Education, Meet Basic Human Needs, and Promote Community Vitality. We are so pleased they chose to support this one-of-a-kind educational venue in their service area. As of this writing, CoServ Charitable Foundation has given almost $1M in 2017! 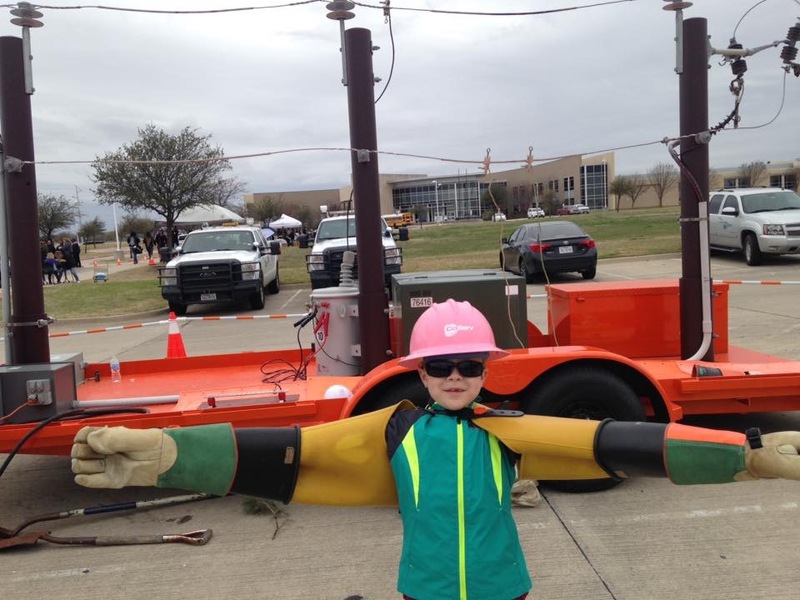 Our relationship with CoServ initially began as a conversation about our annual Touch-a-Truck fundraiser. Not only did CoServ sponsor our 2017 event, but CoServ volunteers brought an visually stimulating Arcing exhibit along with a large cooking trailer to served up 750 hot dogs to our visitors. We are so thankful for this partnership and never imagine it would yield a $19,000 grant! Explorium will focus on several themed experiences. The “How Things Work” exhibit area is going to be a fascinating and busy place. Key features in this space will include simple machines, a color and light tent, and a musical forest that will delight children and adults alike. Inspired by the great outdoors, the rustic, reclaimed furnishings chosen by our design team will provide a comfortable cozy space for learning and play. The flooring and paint details will be complemented by new lighting throughout our main exhibit space. The goal of the “How Things Work” exhibit area is to discover the world around you. Participants will be exposed to biology, physics, nature, and more. The science of sound, anatomy and physiology, and mechanics all meet here! Families with children ages 2 and up will find this area fascinating and stimulating. Thank you, CoServ, for your generosity. Because of your foundation we not only have the funds to move forward with our project, but the confidence to keep submitting proposals knowing that there is a ‘yes’ out there for us! Explorium will open its doors soon thanks to generous donors like CoServ.